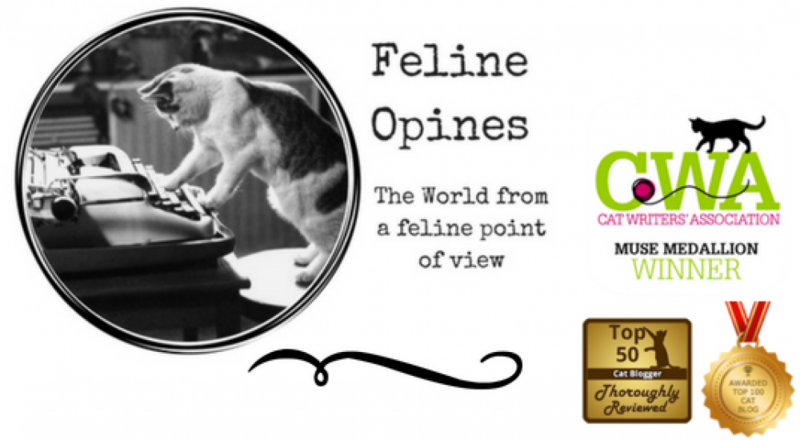 This entry was posted in cats and tagged cat adopts human, cat goes for a walk and brings home a kitten, Hurricane Harvey pet rescues, Palmerston the British foreign office cat, UK Postal cat mascot candidates by Feline Opines. Bookmark the permalink. Another great round-up! We hope the Tribe has a wonderful weekend! Thanks for the kind words. Things have been very hard here. More humans keep arriving and insisting on using OUR bedroom. They close the door and refuse us entry and the female human is spending a lot of time with these “relatives” (whatever that is) and very little time with us. Something needs to change soon or the Tribe will be going on strike. ‘Hope you are receiving the amount of attention you deserve. I tell ya’ it’s tough for us felines!